This listing is for a random blind boxed figure. We are unable to take requests for specific figures and you may get duplicates even if you order more than one. 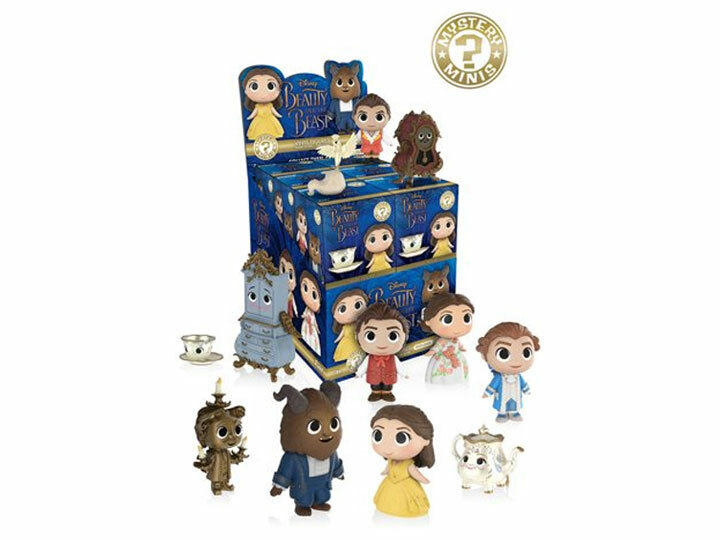 The characters of 2017s Beauty & the Beast have gone miniature with Funko's series of Mystery Minis! These 2.5 inch tall vinyl figures feature a cute, friendly, and super-deformed style that will look great on your shelf, and some figures are rarer than others! Build your collection today! 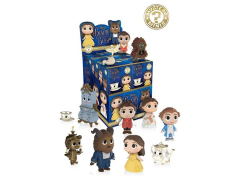 Possible figures include Belle in Gown, Belle in Gown with rose, Village Belle, Celebration Belle, Beast, Kneeling Beast, Gaston, Mrs. Potts, Chip, and Lumiere. 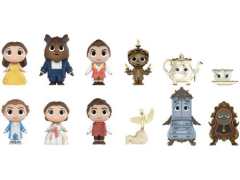 Additionally this exclusive may possibly be Cogsworth, Plumette, or Madame de Garderobe.